As robots enter novel, uncertain home and office environments, they are able to navigate these environments successfully. 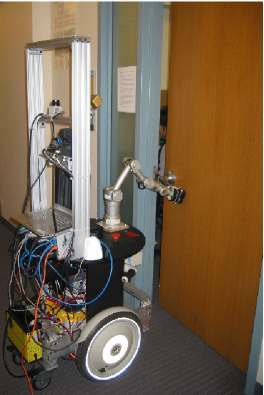 However, to be practically deployed, robots should be able to manipulate their environment to gain access to new spaces, such as by opening a door and by operating an elevator. 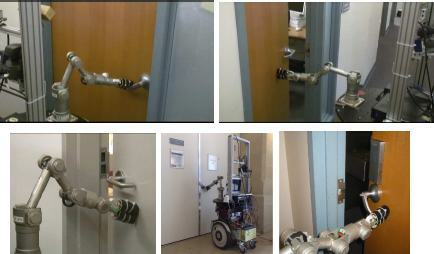 This, however, remains a challenging problem because a robot will likely encounter doors it has not seen before. Objects such as door handles, even though very different in appearance, are functionally similar and therefore have some common shared features. In this paper, we present a vision-based learning algorithm that captures these features to: (a) find where the door handle is located, and (b) infer how to manipulate it to open the door. This makes our robot the first one able to navigate anywhere in a new building by opening doors and elevators, even ones it has never seen before. Another example of robot opening an elevator. 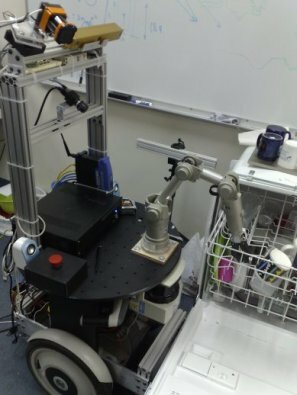 Robot opening the dishwasher tray.